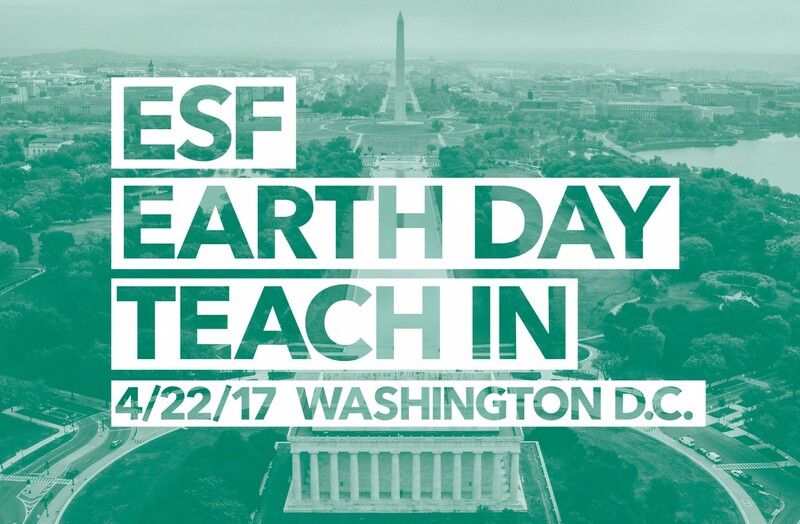 Join Frank Sesno, Planet Forward founder and The George Washington University School of Media and Public Affairs director, and SUNY-ESF experts to learn how to think together at ESF's teach-in on Earth Day at the March for Science this Saturday, April 22, from 11:30 a.m. to 12:20 p.m. on the National Mall. The teach-in will be moderated by Dr. Paul Hirsch, assistant professor of environmental studies at ESF. Dr. Robin Kimmerer, director of the ESF Center for Native Peoples and the Environment, will join Sesno on the panel. Kimmerer was a featured speaker at the Planet Forward Summit, where she delivered a presentation on native storytelling. Neil Patterson Jr., assistant director of the ESF Center for Native Peoples and the Environment, also will join the panel. The event will be streamed live on both the ESF and Planet Forward Facebook pages. For more information and to pre-register for the teach-in, see: http://www.esf.edu/communications/view.asp?newsID=5795.